For the third straight year, renowned TV dog behaviour expert Victoria Stilwell has enlisted the help of the world’s top canine behaviour experts, specialists and educators to create the National Dog Bite Prevention & Behaviour Conference. In response to the reports of dog bites which continue to drive news cycles in cities across the country, renowned dog trainer and behaviour expert, Victoria Stilwell from Channel 4’s It’s Me or the Dog introduces the UK’s first National Dog Bite Prevention Week, June 7th-14th. Victoria was featured on HLN, where she talked about preventing dog bites, just in time for Dog Bite Prevention Week. With more than 4 million dog bites occurring just last year, it's critical that this important information becomes common knowledge. 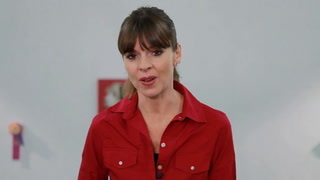 Renowned TV dog trainer, Victoria Stilwell has enlisted the help of the world’s top canine behaviour experts, lawyers, and educators to create the National Dog Bite Prevention & Behaviour Conference – a national event dedicated to finding practical and workable solutions to this universal problem through education and heightened awareness. 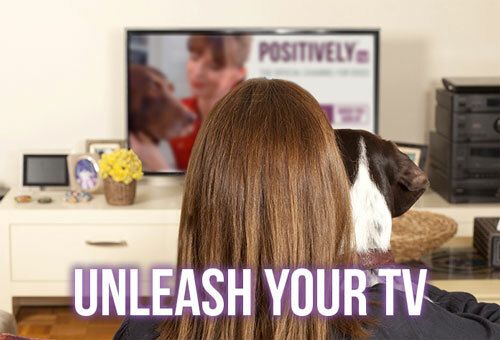 TV dog trainer is teaming up with the National Dog Bite Prevention Coalition, which includes the U.S. Postal Service, State Farm, American Humane Association, American Society for Reconstructive MicroSurgery, Insurance Information Institute and Prevent the Bite, to raise awareness about the importance of educating the public about responsible dog ownership and dog safety. May 2014 | It’s Dog Bite Prevention Week! Dog Bite Prevention week is here, and it's always a great chance to reflect on how we can better protect our dogs and our children from the preventable tragedy of a dog bite. Responsible pet ownership, including spaying and neutering your pet, keeping him on leash when out on walks, and never leaving any child unattended with your dog are some of the best ways you can prevent a bite. Check out some of Victoria's helpful and articles about dog bite prevention. The Dog Bite Prevention Conferences are igniting a conversation about that need for education. We don't want to preach to the choir - we need teachers, doctors, lawyers, animal control officers, parents, and dog owners all to come together to begin to understand what does (and what does not) constitute a dangerous dog in order to stop these heartwrenching tragedies from occurring. Victoria was a guest on Headline News, where she discussed the recent fatal dog attack on a one-year old boy from Las Vegas. 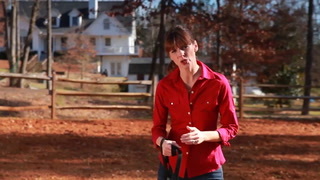 During the segment, which originally aired on May 1, 2012, Victoria describes commonly misunderstood dog body language warning signals as well as how to keep children safe around dogs. Victoria was interviewed by Michael San Filippo on the AVMA's popular podcast series, 'Animal Tracks', during National Dog Bite Prevention Week to discuss what dog owners can do to reduce the number of dog bites (5 Million in the US alone last year). Listen to the interview here. Victoria is joined by Victoria Stilwell Academy's Curriculum Manager, Aly Lecznar, to talk about VSA's newly-launched Online Dog Trainer Course and the introductory Fundamentals of Dog Training & Behavior Course, including what makes VSA such a groundbreaking new learning opportunity both for dog owners and aspiring professional dog trainers. Registration is now open for the sixth annual UK Dog Behaviour Conference which will be held in Sheffield, England on May 18-19, 2019. By partnering with over 100 animal shelters throughout the United States, the Adoption Show promotes pet adoption and showcases adoptable dogs in various locations around the country. K9 officer Shawn Humphreys talks with Victoria and Holly about the world of police dog training, its challenges, and the changes he’s noticing with his move towards more positive training. 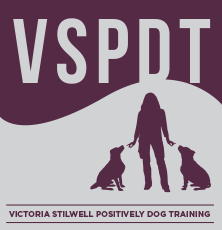 Also, new VSA course dates, how to find a licensed trainer as well as leash-walking and separation anxiety issues. Why dogs and Halloween don’t mix, November’s pet awareness holidays, how to detect signs your dog is in pain. Also, consistency when paper training pups, mouthing puppies, constant barking, issues that come with adopting street dogs. Victoria and Holly reconnect after a few months away and discuss how to recognize signs of pain in your older dog, keys to curbing rambunctious dog play, managing noisy nighttime behavior, overcoming anxiousness when guests visit your dog, and how to get dogs used to water. Since when does “just a minute” only apply to humans? We dogs say it too, except when we do, you humans get angry. You let us off the rope thing to go run around and play and then you ask us to come back at the most inconvenient of times, just when we are having the best fun – playing with other dogs or chasing small fluffies. When we don’t respond, you get mad and tell us how bad we are, but apparently you don’t understand that when we hear our name, look back at you and then continue with our game, we’re also saying “just a minute”. By the way…..how long is a minute? Head Tilting: Why Does My Dog Do That?